This four-hour course, which costs $10, is designed to launch first-time owners into a comfort zone with their iPads. You donʼt need any computer background in order to take this class. 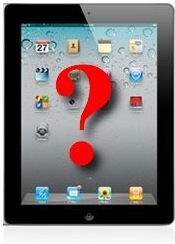 All you will need is your iPad, already registered and working. The course will cover the various parts of the iPad, what a user sees on the screen, how to use the basic hand gestures, and some of the applications. The Computer Learning Center at Ewing (Ewing Senior and Community Center, 999 Lower Ferry Road, Ewing, NJ) is offering a new one-session course on Surfing With Safari on Your iPad﻿ for those 50 and older. This two-hour course costs $5. The course will cover the ins and outs of the Safari web browser on the iPad. Whether you are relatively new to surfing the web, or are a pro surfer on a PC or Mac, this class will expand your knowledge and introduce you to many features of the iPad browser that you may not be aware of. Building on the basics of the web covered in the “iPad Basics” course, we’ll explore the use of tabs, how to read without distractions, creating a reading list for later off-line reading, saving time with AutoFill, saving or sharing favorite sites, searching the web or a web page, reopening recent web pages, and tuning your browser settings for safety and privacy. If you’ve wondered about Siri, and how to have a conversation with your iPad (or iPhone or iPod touch), then this is the course for you. We’ll show you how to enable Siri, launch the service, and try it out. Siri is an intelligent personal assistant and knowledge navigator from Apple that exists to allow you to communicate with your mobile device by speaking to “her” (in the US, the voice is female). You’ll teach her about you and your family, and try some questions that will highlight both her usefulness and her quirky personality. Siri offers conversational interaction with many apps including reminders, weather, email, calendar, contacts, notes, music, clocks, web broswer, Wolfram Alpha, and maps. It can check sports scores, open apps, check movie times and reviews, find restaurants, and make reservations. We’ll offer tips on how to have a successful conversation, and how to recover from misunderstandings. Dictate rather than type your emails. Get a glimpse into what the future of computer interaction may be! Prerequisites: Any Apple device (iPad 3rd gen or later, iPad mini, Phone 4S or later, or iPod touch 5th gen or later,) that supports Siri. It must be registered and up-to-date with the most recent software (iOS 6 or later) for that device. (To check, you can go to the Settings app, choose General, and see if “Siri” is listed.) If this presents a problem to anyone who wants to take this course, he or she is advised to e-mail their concerns to marykay@podlecki.com. 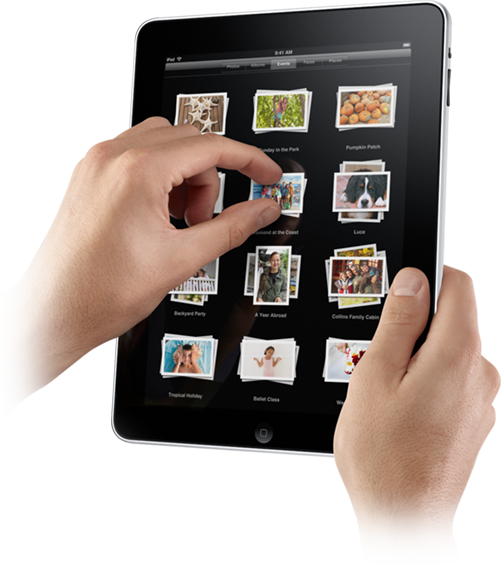 Has your once empty iPad that initially looked so roomy now run out of storage space? Have you run out of room to back up to the iCloud? What can you do, short of buying a new iPad or paying for more iCloud storage? First you’ll examine your iPad and find out what is draining your storage space — apps, photos, videos, music, or other data? We’ll then explore a half dozen strategies to see what you can do to free up storage on your iPad, or cut down on the iCloud space you are using. These can be tough decisions, so be prepared for some tough love! The Computer Learning Center at Ewing (Ewing Senior and Community Center, 999 Lower Ferry Road, Ewing, NJ) is again offering a three-session course on iPad Apps and Books for those 50 and older. This six-hour course, which costs $15, is a continuation of the iPad Basics﻿ course. The fun continues as you learn how to find, install, and update those apps that will make the iPad your personalized device. Besides the apps of your choice, we will specifically look at ebook reader apps including iBooks, Kindle, and Nook. Then we'll explore using both ebooks and audiobooks from your local library. Prerequisites: iPad Basics course, iPad with iOS software version 5.0 or later, your Apple id and password, if you have one (for "purchasing" apps in the App Store), your Adobe id and password, if you have one (for library books), and (optionally) your library card. If you have a question about any of these requirements, send an email to marykay@podlecki.com. The new iOS 7 platform for Apple mobile devices simply makes what you do now easier, faster and more enjoyable. While many apps may look different, the way you do things feels perfectly familiar. Using your iPad, we will explore about a dozen new features including changes to the Photos app, new camera features, the new AirDrop photo and file sharing feature and iTunes Radio as well as quick access to the Control Center and new ways to handle multitasking and to search. The Computer Learning Center at Ewing (Ewing Senior and Community Center, 999 Lower Ferry Road, Ewing, NJ) is offering a new one-session course on Music on the iPad for those 50 and older. This two-hour course, which costs $5, is designed to help you explore ways to listen to your favorite music on your iPad. The Computer Learning Center at Ewing (Ewing Senior and Community Center, 999 Lower Ferry Road, Ewing, NJ) is offering a new one-session course on More Email on the iPad for those 50 and older. This two-hour course, which costs $5, is designed to expand your basic knowledge of using email on your iPad, as was covered in the iPad Basics class. The course will cover the ins and outs of the Mail app on the iPad, using your gmail account as an example. Whether you are relatively new to email, or are a pro surfer on a PC or Mac, this class will expand your knowledge and introduce you to many features of the iPad Mail app that you may not be aware of. We’ll cover setting up your already-existing email accounts on the iPad, reading and printing mail, opening and saving attachments, sending email and attachments including photos, organizing mail using folders or labels, using multiple mail accounts, and tuning settings to personalize your email experience.﻿ Prerequisites: 1. An iPad that is registered and up-to-date with the most recent software for that iPad, and a gmail account. 2. The “iPad Basics” course. 3. The “Using Gmail” course, or a gmail account and experience using it on any device﻿ If you have a question about any of these requirements, send an email to marykay@podlecki.com.